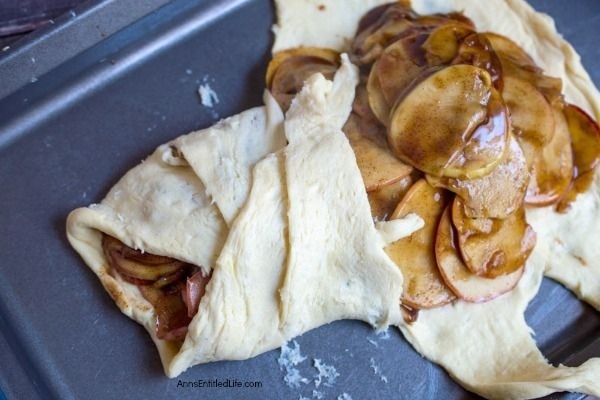 The scent of crisp apples and cinnamon will fill your home while this tasty treat bakes in your oven. Your taste buds will be watering, and oh that first bite! This is simply an outstanding fall dessert recipe. 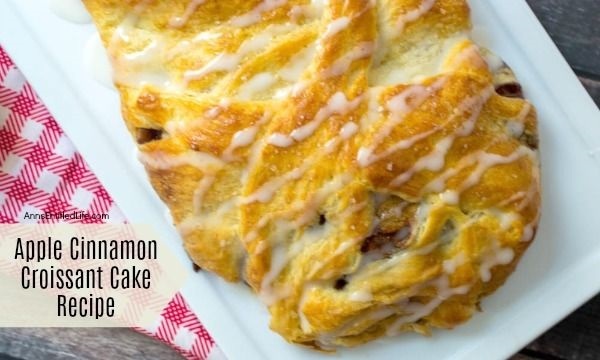 This apple cinnamon croissant cake recipe is so easy to make. 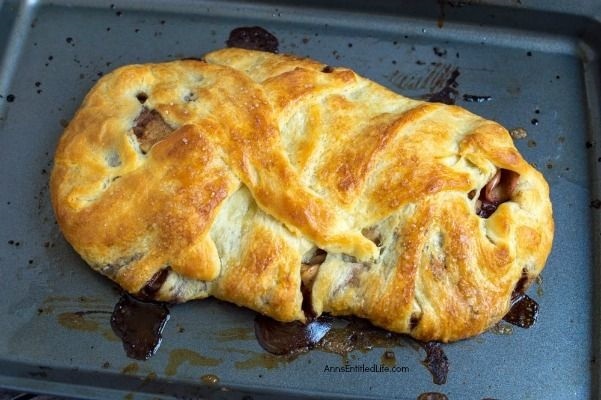 Believe me, your entire family will enjoy this fabulous pastry. Apple Cinnamon is the first sign of the cooler nights, brighter colors of Autumn! 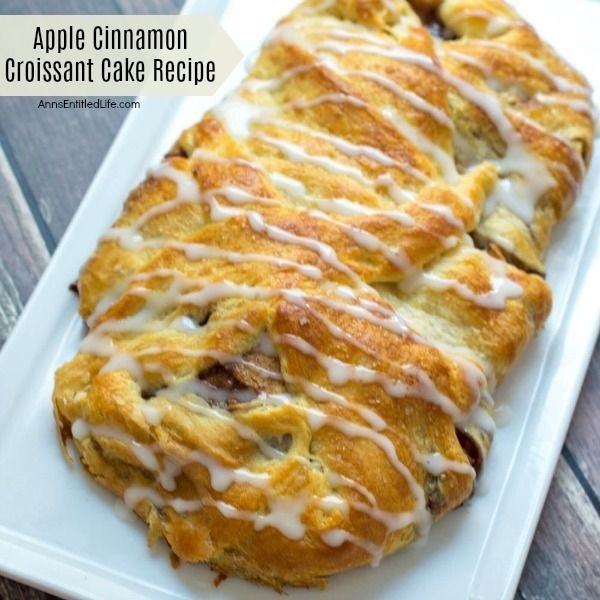 If you love apple and cinnamon together, this delicious, easy to make “croissant cake” pairs the two perfectly. • If you have a Mandolines use it. The apple slices are set to two (2). It makes all the apple slices the same size. 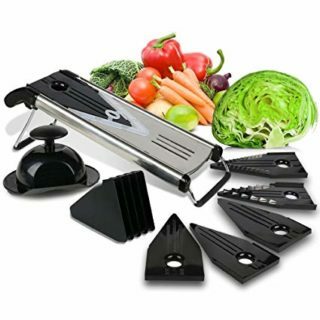 You could also use the slicer on your food processor if you have one (I have not done it, so I cannot tell you the analogous size of the slice). And, if nothing else, the good old fashioned knife and cutting board will work. Just try and make the slices as uniform as possible. 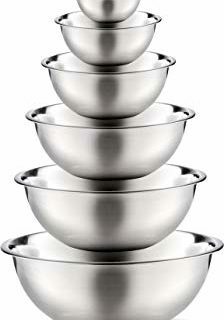 • You do not want any seeds in this, so remove any seeds from the apple slices. • These apples are not peeled. Peel if you prefer. • I called this a cake, but “pastry” may have been a better name. Oh well. • I listed the servings as eight (8). You will have more or less servings depending on how thick you slice the apple cinnamon croissant cake. 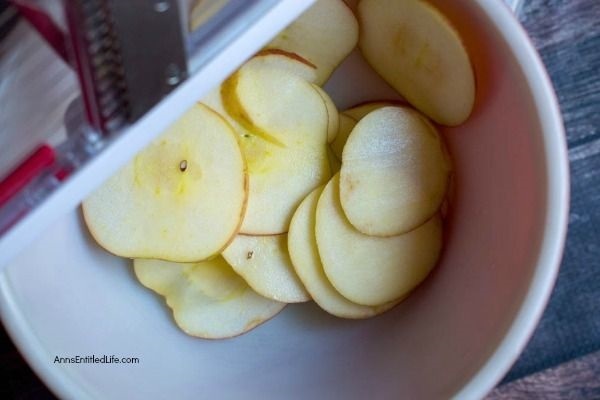 • Using a mandoline slicer set to 2, slice 4-5 small apples. • Use slices that have no seeds (deseed when necessary). • Place deseeded apple slices into a bowl, squeeze lemon juice on top of the apple slices, and toss to coat. Set aside. • In a medium pot (that has a lid) over medium heat, melt butter and add cornstarch. • Add brown sugar, 2 tablespoons of water, and ground cinnamon. 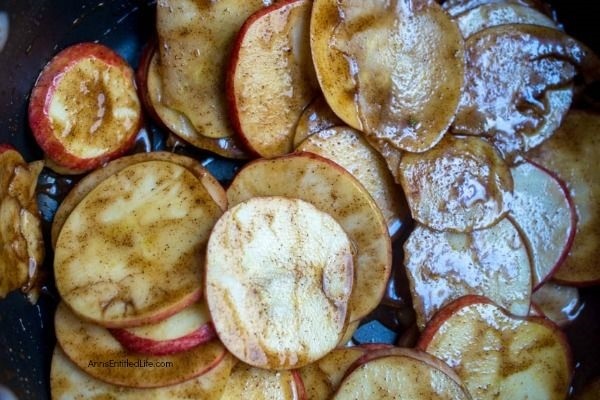 • Add apple slices to the cinnamon mixture, and stir until coated. • Cook for 5 minutes, stirring occasionally. • Turn off heat and keep the lid on. 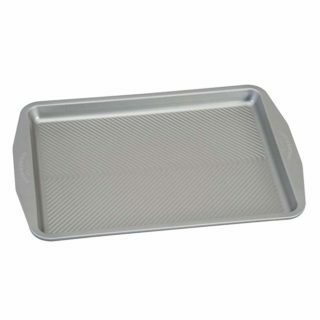 • Open croissants and place on a baking sheet (as shown in the photo). 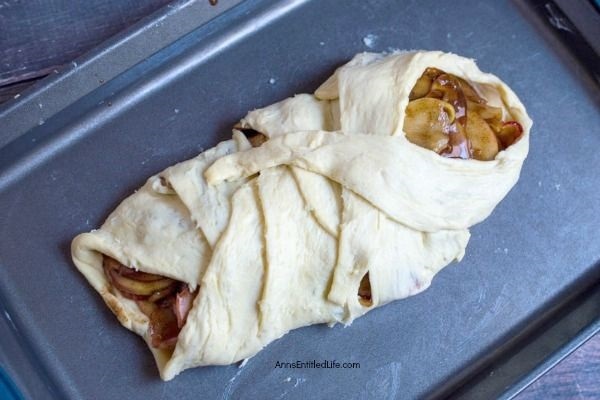 • Gently pour the apple mixture in the center. • Fold over croissant edges and pinch closed. There will be some open spots. • Make an egg wash by mixing egg with 1 teaspoon of water. 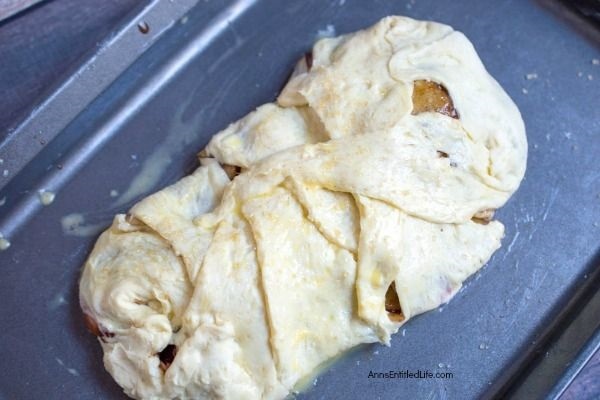 • Lightly brush a thin coating of the egg wash on top of croissant. Discard any remaining egg wash.
• Sprinkle with sugar in the raw. • Bake for 10-12 minutes, or until golden brown. • Remove and let stand. • In a small bowl, add powdered sugar and vanilla extract. • Slowly pour in milk a little at a time until smooth and thick. 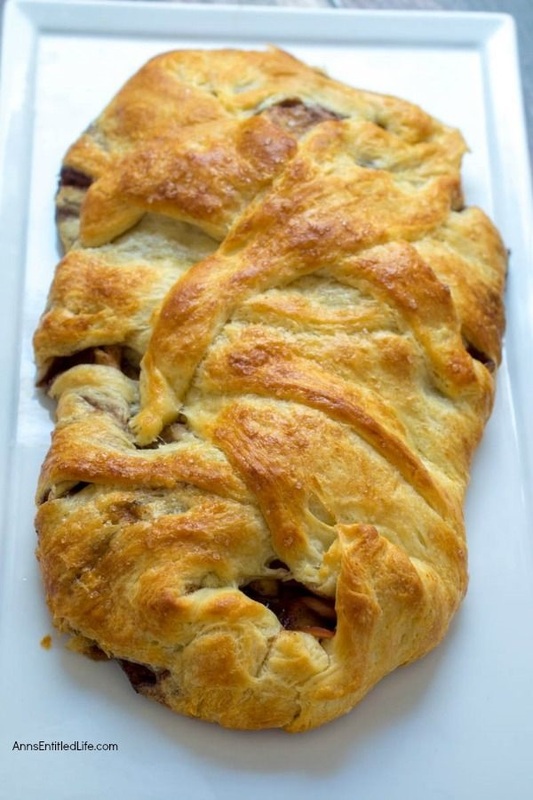 • Drizzle over the top of the baked Apple Cinnamon Croissant Cake. 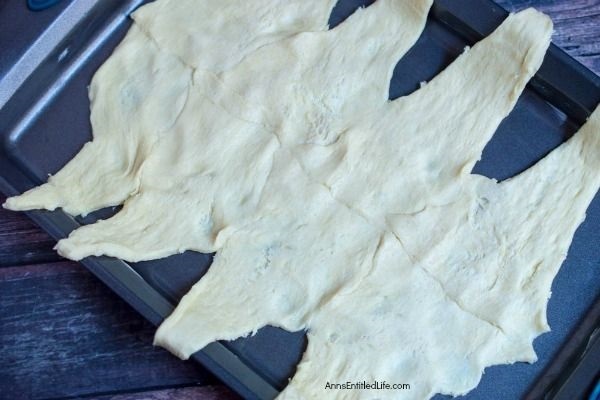 • Open croissants and place on a baking sheet. • Make the egg wash by mixing egg with 1 teaspoon of water. • Bake for 10-12 minutes in a preheated 375° oven, or until golden brown. 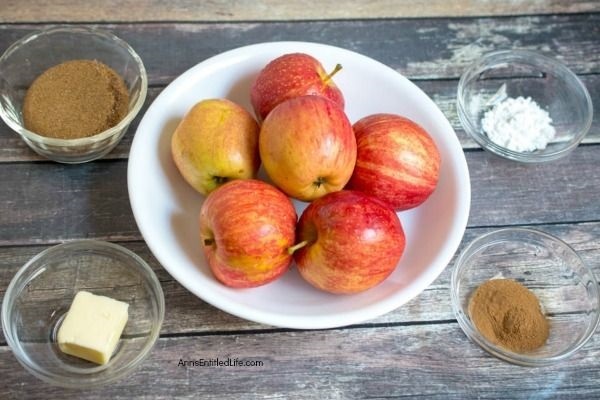 • Apple Brown Betty Recipe – the ultimate apple-comfort food dessert! Yum! • Baby Apple Walnut Pies Recipe – These simple, six-ingredient, baby apple walnut pies are fabulous! Easy to make, these Baby Apple Walnut Pies will impress your friends and family. A wonderful fall or winter dessert, these baby pies are a wonderful sweet treat. 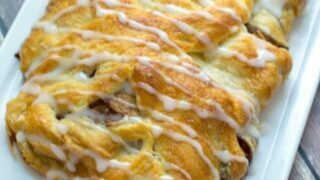 • Apple Pie Pizza Recipe – If you love the great taste of apple pie, you will love this easy to make apple pie pizza recipe. This simple to make dessert pie has an amazing and enticing aroma and truly tastes delicious. Ooo….this has my mouth watering! 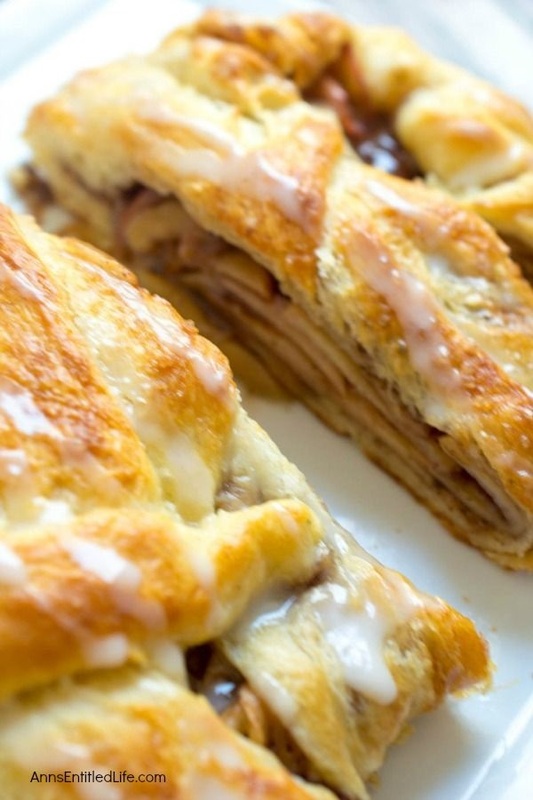 A warm cinnamon pastry is so good with some coffee for breakfast! Pinned. Thanks for sharing on Merry Monday. This sounds so delicious! 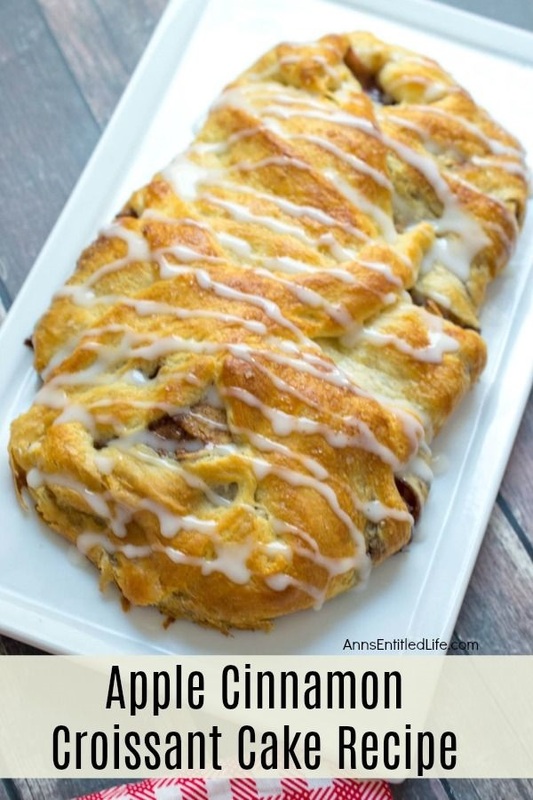 Pinning so I can make it for breakfast this fall 🙂 Thank you for linking up at our Merry Monday party. I’ll be including your Apple Croissant Cake in my Features this week. We’d love to have you stop by and link up to the party again!